Few would voluntarily get up at 3:30 in the morning to catch a flight to the other end of the country. But when Volkswagen Motorsport India offered us a chance to drive its range of touring cars, it was easy for us to overlook the flight timings. And so we arrived in Chennai in the early hours of the day, ready to hit the recently renovated track adjacent to the highway to Bangalore. 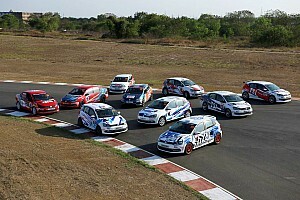 Volkswagen India is entering the 10th year of its motorsport programme in 2019 and it wanted to celebrate the landmark moment in style. 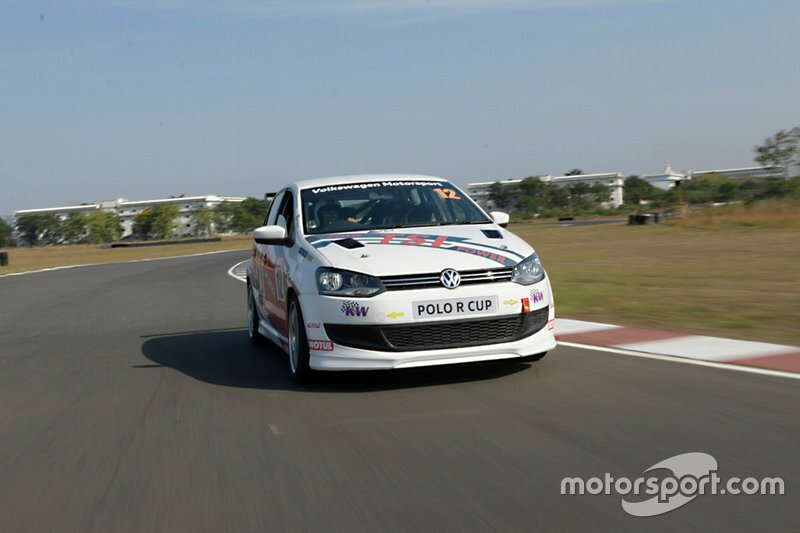 It assembled its entire fleet of race cars, right from the original Polo Cup car to the 200 bhp Ameo Cup beast, for a mega track day. 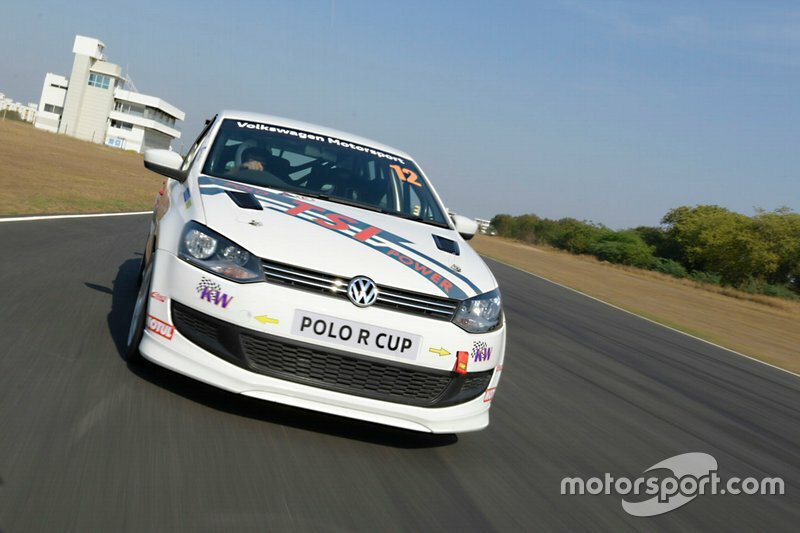 Also on hand was the latest rear-engined Polo RX as well as the company’s two Polo-based rally cars. But the best part of all was that they let us poor souls, the journalists who closely follow the action from the sidelines, hop into the cars and get a glimpse of what’s it like to be a racing driver. Having never driven a race car before, I was most certainly nervous - even if the pictures suggest otherwise. Add to that, I had not even been fortunate enough to take a road car for a spin at the MMRT. So to sum it up, I was pretty much a noob surrounded by experienced automotive journalists. 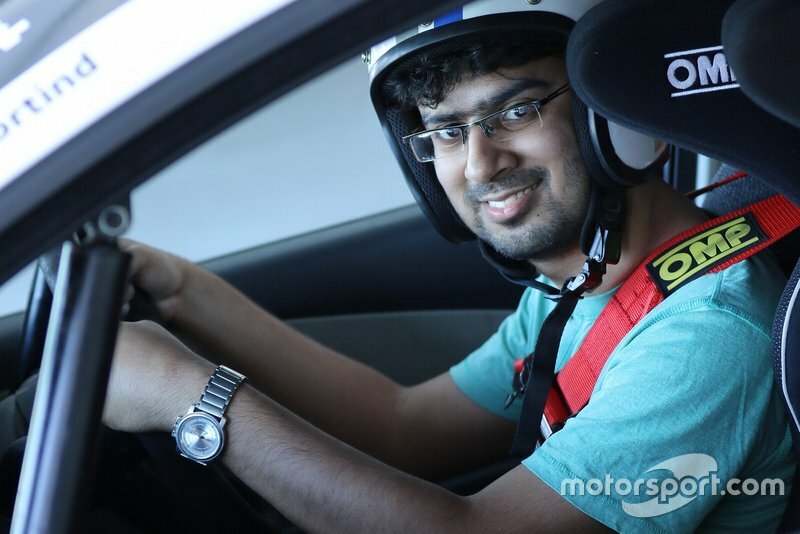 But Volkswagen India has an almost decade-long experience of grooming racing drivers and appropriately enough they had a concerted step-by-step plan to get us comfortable with their racing machines. For starters, driver-turned-coach Rayomand Banajee provided us with a brief overview of the circuit, giving us tips about the racing lines. He then took us around the track for three laps in a road car, giving instructions on braking points and racing lines for every single corner. It was after this extensive guide that I was able to get on top of my anxiousness and actually get excited about driving a racing car. And so came the moment, I jumped into the first of the racing cars at our disposal, the race-spec Vento. I was strapped into the car using a six-point harness, with some additional cushioning placed in front of the seat to help me reach the pedals with little effort. The car’s DSG gearbox was simple to use and off I went, exiting the pitlane for my first two-lap run. Rayo, as he likes to be called, would later join me for some of my runs, boosting my confidence further. With someone as experienced as him sitting alongside and guiding me throughout, I was able to push the car to the extent I wouldn’t have been able to do otherwise. Stamping on the brakes in a race car for the first time could scare anyone, but Rayo assured me that it’s absolutely normal for the car to behave in the way it does. With that in mind, I was able to brake hard for some of the corners without fear. 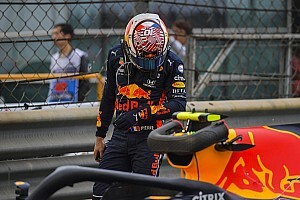 Yes, I would start braking several metres before racing drivers do, but the confidence to exploit them to the fullest gave a great sense of accomplishment. There’s also an unusual degree of fun in going full throttle, although MMRT’s short straights mean you have little time before switching your focus to the braking point. In fact, I barely checked the dash a couple of times during the 10-odd laps I did of the 3.7 km circuit. The thing I found the easiest about the driving experience was following racing lines. 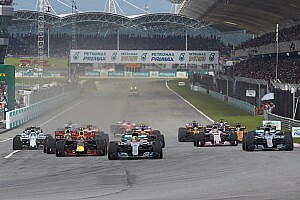 Having followed motorsport for over a decade and played a host of racing games, including the official F1 titles, I found it fairly easy to put that knowledge of racing lines into practice. 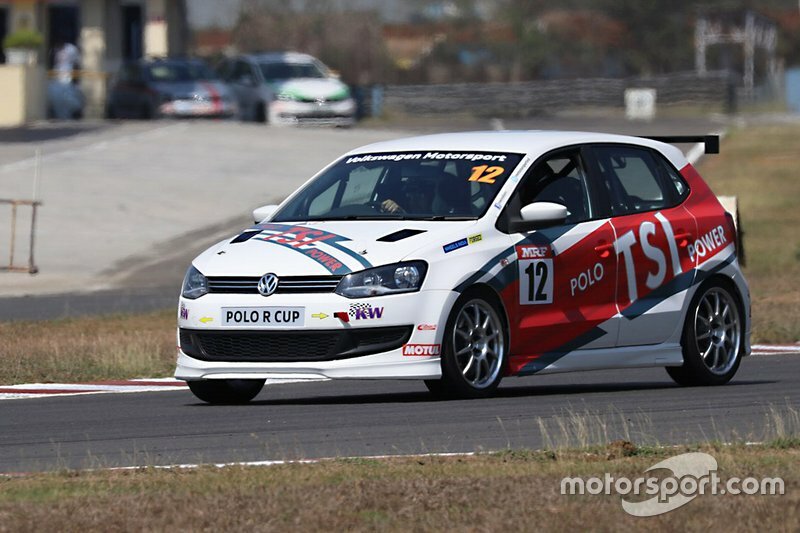 A recent karting session at an internationally-certified track in Malaysia also helped. That said, I was far from perfect in the opening few laps. It’s only when I gained confidence that I was able to hug the inside of the corner and even just briefly drive over the kerbs. There was still a lot of room for improvement on the corner exit, though. Racing drivers tend to run as wide as possible on the exit, seemingly undeterred by grass that’s just inches away. For me, that’s an art that will take some time to master. One thing I would like to point out is just how draining driving a racing car is. Each of our runs was limited to just two laps - and out-lap and an in-lap. And yet I would return to the pits yearning for water and my hair drenched in sweat. True, Chennai’s summer heat made things worse, but simply driving the car with such concentration takes a lot out of you - both physically and mentally. If someone asks me if I enjoyed the whole experience, my honest answer would be a ‘no’. And if that comes to you as a surprise, here’s the explanation. MMRT is basically a lengthy sequence of corners, with just a handful of short straights. That’s precisely why it is rated so highly by drivers around the world. But it also means that you simply can’t take your eyes of the ball. There’s really no margin for error and that pushed my stress meter pushed past the ceiling. Volkswagen had done a brave job in entrusting me with its cars and my solitary goal was to bring them back in one piece - not to test my limits and inevitably suffer an embarrassing crash. And to that regard I think I did a fairly decent job. I didn't even spin the car once over the course of the day, having adhered to the instruction of being gentle on the throttle while exiting the corners. The only blip was overcooking turn 1 on my first flying lap. But fortunately turn 1 is one of the few corners at MMRT to have an asphalt run-off - it’s part of a longer drag strip - and I was simply able to return to the track without causing the car any harm. Would I like to hop back into those cars again? Absolutely! But should I also stay grounded? Yes, definitely. 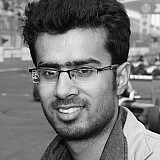 A second opportunity would come later if not sooner - and if it happens at the Buddh International Circuit, I wouldn’t be happier. The corners at BIC are supplemented with acres of asphalt run-off areas, which gives drivers just that extra bit of freedom to push. While that still doesn’t give the permission to go all-out, it does relieve you of the fear to some extent. I already have a lot of respect for racing drivers as sportspersons and individuals, and having got a chance to shakedown some 200bhp touring cars at reduced speeds, my admiration for them went up by a notch. I can’t see myself pushing the limits of the car in qualifying, let alone race at that speed with 20 other cars on track. What they do is absolutely phenomenal and more people should appreciate what they do and what they put on the line for a living.